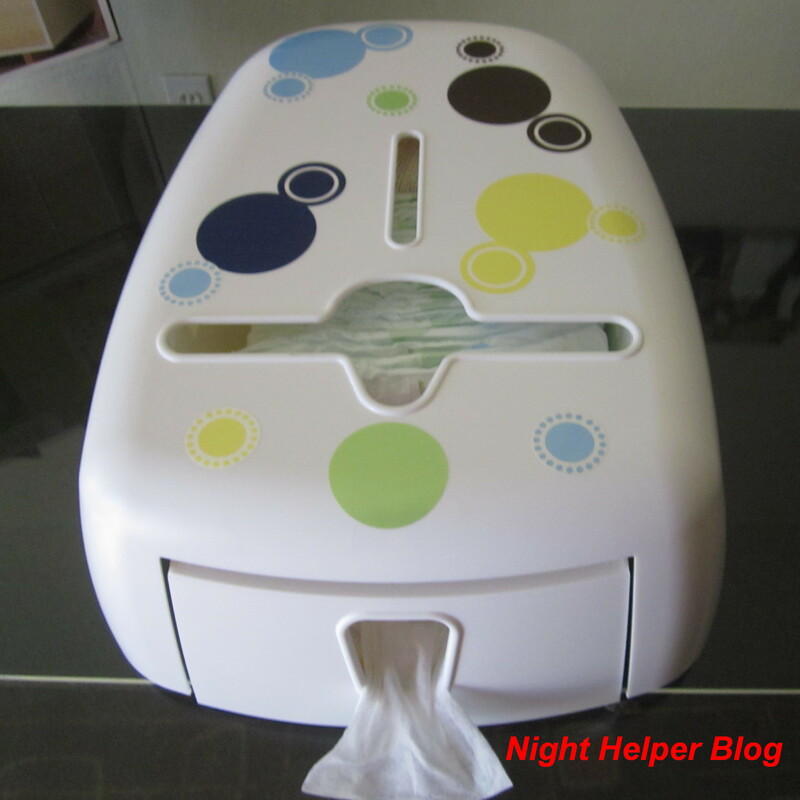 Bobee Diaper and Wipe Dispenser, what a great product! I was not compensated for this post, however I did receive a product sample from BoBee, all opinions expressed in this post are 100% my own. As a mom I am always on the lookout to find products that are not only cool but serve a purpose to making our lives a little easier for us and our children. So when I saw the BoBee Diaper and Wipe Dispense I was excited to see what it was all about being that we have a little one name Quincy. Now Bobee was invented by Stacy Harfert back in 2011. A mom who felt the need to invent a product that would help every parent with the convenience of having their Diapers and Wipes right on hand without the hassle of searching. Stacy Harfert was a mom who had limited space in her home , it appears everywhere she turned every surface was taken up already…boy do us mom’s know that feeling. As a Mom she worked hard to invent a product that not only benefited her but will also benefit many other moms, whether you have limited space or not. 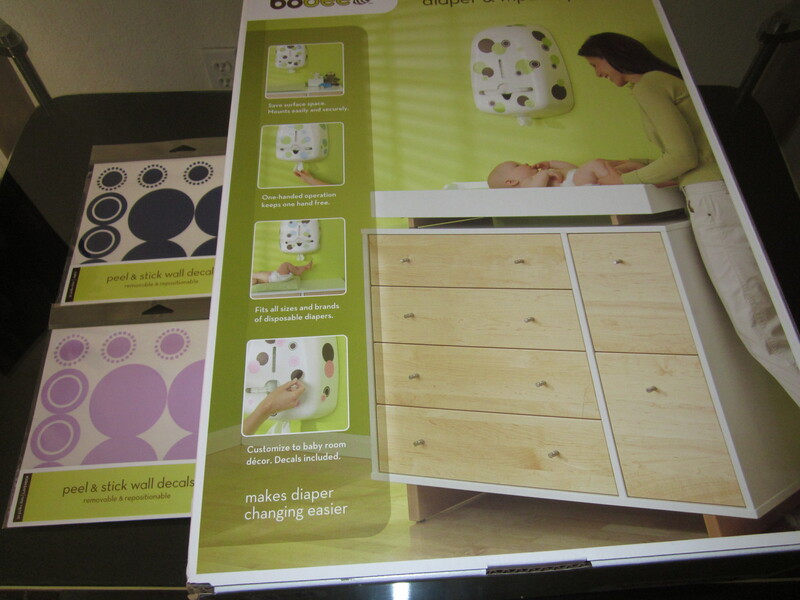 The Bobee mounted diaper organizer is sure to ease the mind of all moms. It’s easy to assemble, can be mounted on any wall within minutes, comes with the cutest removable decal’s to dress up your diaper stacker according to baby’s room. Holds all size diapers and wipes without any problems, lets you keep hands within reach of dispenser and baby, secures to wall within minutes. When I opened the box to set Quincy’s up, I found myself not needing the instructions, Stacy made it just that simple for us Mom’s. As you see it comes in two parts with all the cute decals you need. 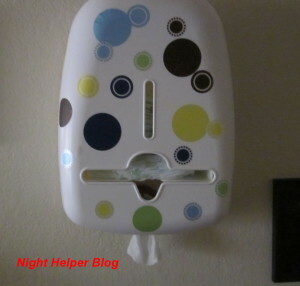 I started placing the decals all over the dispenser giving it that cool colorful look. I figure with all the colors in Quincy’s room his mom could customize the decals to whatever she likes or just leave my little design. Wow, isn’t that cool? But guess what, Bobee diaper and wipe caddy is widely recognized for its unique purpose and has received the Huggies Mom Inspired grant also. 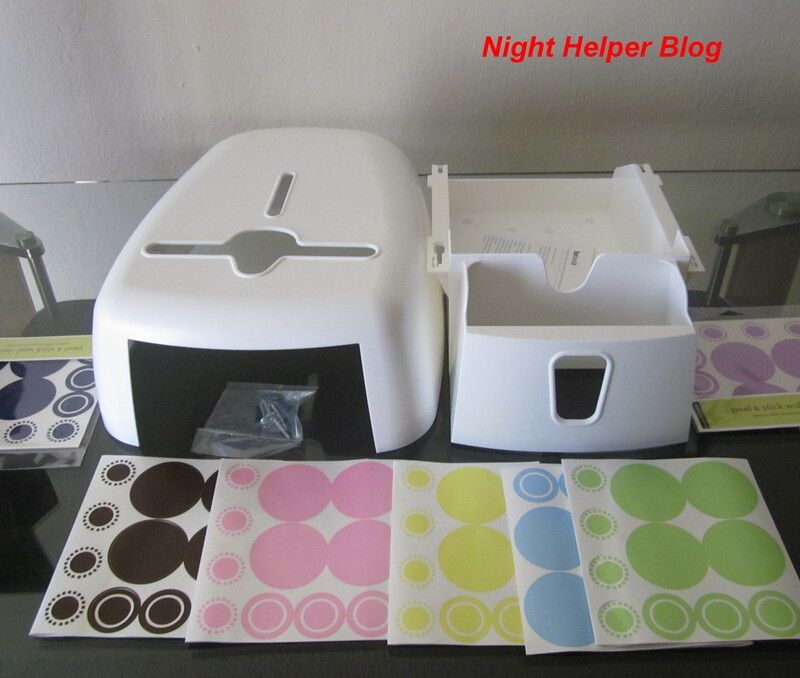 Overall I tip my hat off to Stacy for inventing a useful diaper & wipe dispenser that keeps our baby’s nursery neat, our diapers and wipes organized. A dispenser that is convenient and can be mounted on the wall with there drywall screws and anchors that are included. 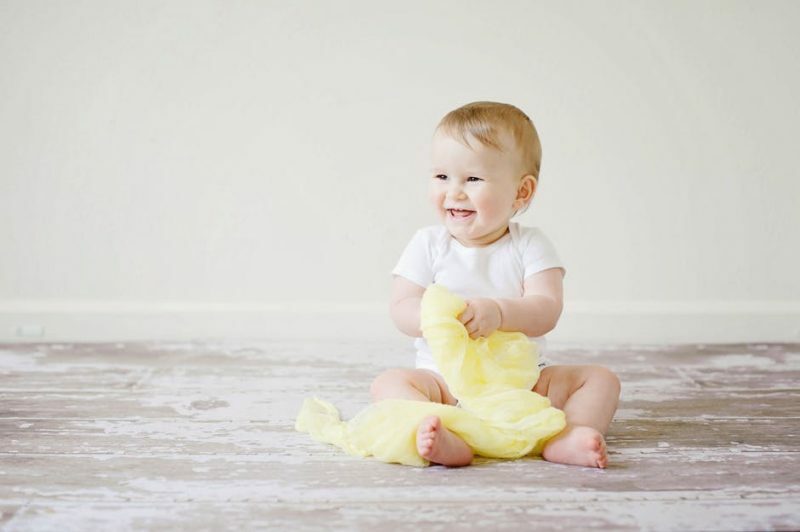 The Bobee will help to de-clutter any baby’s room, a quick and easy way of removing diapers and wipes. Get creative, order your Bobee today and jazz up your baby’s room. 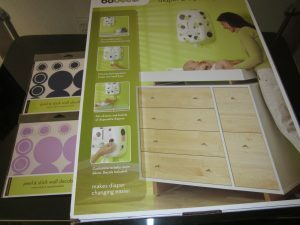 Don’t forget, Bobee is just right for your little ones nursery room plus it is fun to decorate and perfect for that new Mom! Thanks Bobee for allowing us the opportunity to share your product with our little ones! We wish you the BEST! ← World’s Best Cat Litter Scented Clumping Formula, my cat likes it! 3D Deco Light Review… It’s a must have product ! MANGROOMER, there’s nothing like a clean cut man!! I came across their Facebook page not too long ago. Great idea! I plan to use cloth diapers. Finally a way to keep them together and a nice design as well. Now they need to make a traveling kit. This is a great product. Thanks for sharing it with us. My wipes never come out well in the case they give at Costco with the big package. I need a wipes dispenser! This looks great. Thanks for sharing. That is so cute! I wish they had something like that when my son was younger. I love personalizing things to match my own style. Family Summer Fun from Phase 4 Films…..Space Dogs &Kiara The Brave!! Getting organzied with ClosetMaid 2Door Dark Cherry Stackable Storage!